The Scaffold were from Liverpool and had many hit songs during the late 60's and early 1970's. They preformed mostly funny songs but also some folk songs like Liverpool Lou by Irish songwriter Dominic Behan. 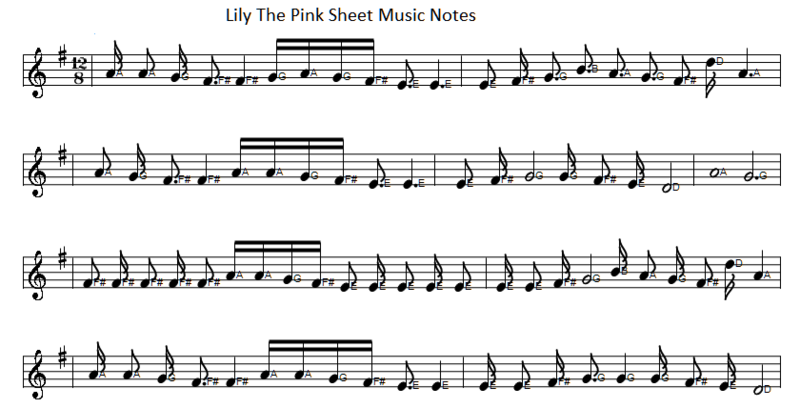 The song here Lily The Pink got to No. 1 in the British pop charts, the song is based on an old traditional song. All three were from the Liverpool area and one of them Mike McGear who's real name is Peter McCartney and is a brother of Paul McCartney from The Beatles. Other members were Roger McGough and John Gorman. This song with chords was sent to me by Angela with chord alterations by Marc. But is it a pop song or is it folk ? you decide. The sheet music is included. Also recorded by The Irish Rovers folk group. most effi-(G7)-cacious in every (C) case. and now he's (G7) learning how to (C) fly. now they (G7) move him round in[C] wheels. now he's seen but never heard. most effi-(A7)-cacious in every (D) case. and now he's (A7) learning how to (D) fly. now they (A7) move him round in[C] wheels.